Vincennes Western Sun - Accessible Archives Inc.
Ireland —Down trodden and oppressed, though still unconquered, may the slumbering echoes of freedom in the hearts of her sons burst forth with a splendor that will dazzle and abash her oppressors. The Memory of Washington ,whose name will always be the watchword of freedom and the knell of tyranny. The President of the United States —The Chief Executive of a free people, by far more potent, and at the same time more secure than any crowned head, because he has for his body guard, a nation of freemen. Our A Midwestern Perspective section of our Civil War collection consists of seven newspapers published in Indiana between the years of 1855 and 1869. These items provide pre-and post-Civil War information, in addition to coverage of the Civil War itself. These newspapers, including the The Vincennes Weekly Western Sun, contain a lot more than just Civil War coverage. After sunset this evening the Jews, all over the world, commence celebrating one of their most solemn holidays, called “Yom Kippur,” in the Hebrew language, which, being interpreted, means Day of Atonement. One of the peculiarities of the festival is that the Jews abstain from any and every kind of food from sunset this evening until sunset to-morrow evening. The Jews of this place, those believing in one God, having faith in the Bible and belonging to the Abrahamic Covenant, will have their business houses closed during that time–from this evening till tomorrow evening. 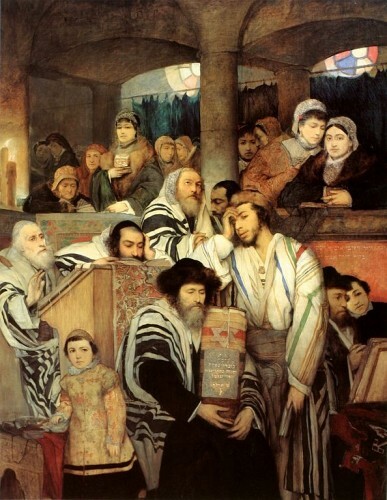 This year observing Jews will begin to celebrate Yom Kippur on the sunset of Tuesday, the 25th of September, 2012. 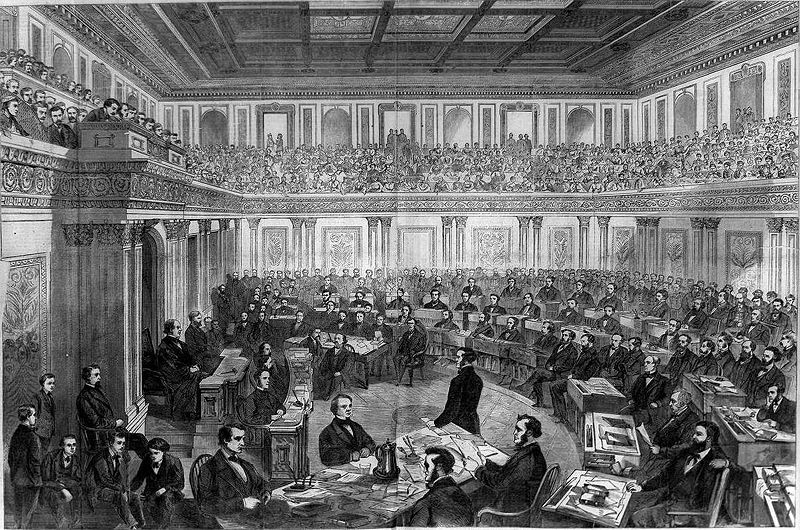 In February 1868, the House of Representatives charged Johnson with eleven articles of impeachment for vague “high crimes and misdemeanors.” To put this in perspective, in 1998, President Bill Clinton was charged with two articles of impeachment for obstruction of justice during an investigation into his inappropriate sexual behavior in the White House Oval Office and Nixon faced three charges for his involvement in the Watergate scandal. WASHINGTON, May 16.–The caucus, at a late hour late hour last night, had determined on the programme. Notice had been served on the Radical leaders by General Grant that he would not accept the Presidential nomination if President Johnson was acquitted . The Senate would refuse to postpone a vote, unless delay would improve the prospects of conviction. The impeachers were again between Scylla and Charyddis as to what could be done. The compromise agreed upon, as developed in the proceedings to-day, was, that a vote should be taken on the 11th, which was believed to be the strongest article, and if defeated on that to adjourn until after the Chicago convention, and hold on to Grant. When the Court opened, Messrs. Howard and Conkling were in their seats, and Mr. Grimes absent Mr. Fessenden rose, with a troubled look, and suggested the postponement of the vote for half an hour. At this moment Mr. Grimes entered, pale and feeble, leaning on the shoulder of a friend. Mr. Anthony, doubtful, being the first on the roll, all eyes were turned on him. When he, in faltering tone, voted “guilty,” a buzz ran through the chamber, but no loud demonstration was made. The next doubtful man called was Mr. Ross, who sprang to his feet and voted “not guilty,” to the great astonishment of the Jacobins, who had counted on him to secure conviction, on this article. He had been visited during last night by various Radical delegations, all reporting Mr. Ross as certain on the eleventh article. His vote was the bombshell which scattered their hopes. The President now had six Republican votes, and Mr. Van Winkle was certain. Seven secured acquittal. The contest was won. Mr. Ross had settled the question. The President was triumphant and impeachment lost. The Managers looked pitiable. Butler’s bald head was the color of a cooked lobster; Bingham rested his forehead on the table; Sevens bit his pale lips, and Logan sqirted tobacco juice. Mr. Butler soon seized his hat and passed out at the door. He met a friend, who said “Pleasant result, General.” Butler replied, “G–d d–d this thing.” and rushed by. The House immediately authorized the Managers to proceed to take testimony as to the influence brought to bear on Senators to induce them to vote for acquittal. This is understood to be the trick of the cattle fish, to escape under cover of its own dirt. The “impeachers” of this city were the ugliest, fiercest, maddest looking set of fellows on Saturday that we have ever seen. Some of them tried to look as mean as old Butler himself, but only one or two succeeded. Comments Off on Johnson Acquitted! The struggle which unhappily has just arisen can neither be indefinitely prolonged, nor lead to the total destruction of one of the parties. Sooner or later it will be necessary to come to some settlement what-so-ever it may be, which may cause the divergent interests now actually in conflict to coexist. 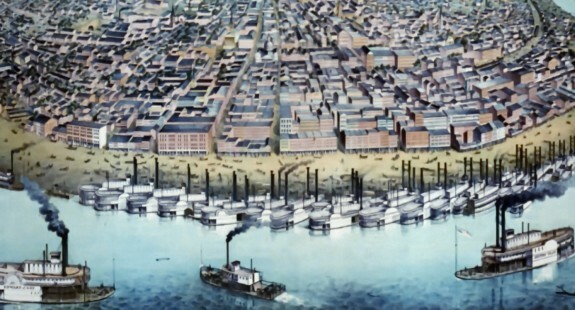 The American nation would then give proof of high political wisdom in seeking in common such a settlement before a useless effusion of blood, a barren squandering of strength and of public riches, and acts of violence and reciprocal reprisals shall have to come to deepen an abyss between the two parties of the Confederation, to end, definitely, in their mutual exhaustion, and in the ruin, perhaps irreparable, of their commercial and political power. His Imperial Majesty still places his confidence in that practical good sense of the citizens of the Union who appreciate so judiciously their true interests. His Majesty is happy to believe that the members of the Federal Government and the influential men of the two parties will seize all occasions, and will unite all their efforts to calm the effervescence of the passions. There are no interests so divergent that it may not be possible to reconcile them by laboring to that end with zeal and perseverance, in a spirit of justice and moderation. News continued to pour in from all over the Union and newspapers were issuing multiple editions every day just to keep up with all the reports. As April 15th progressed, the telegraph offices were working overtime to transcribe the news coming over the lines. John C. Baum is appointed Postmaster at Cincinnati. The War Department has accepted the Governor of Rhode Island’s offer of a regiment to be sent to Washington without delay. Lincolns proclamation was received with execrations. The public is fearfully excited and say the military would sooner die than obey it’s requirements. Market for uncurrent money greatly unsettled; dealers not disposed to buy. Virginia, Tennessee, Illinois, Missouri, and Iowa are 10 cents discount; New Orleans 5, Maryland 2. American gold selling at 5 percent premium – Exchange on the East 1 percent premium.